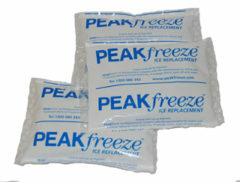 Peakfreeze Ice Gel Packs are the ideal solution as a refrigerant in the transport of temperature sensitive products. Whether it’s for fresh produce such as Seafood, Fruit, Vegetables, Meat, Poultry or for high value products like Blood, Serum and Bio Fluids Peakfreeze provides superior performance to ice and other cold storage options. 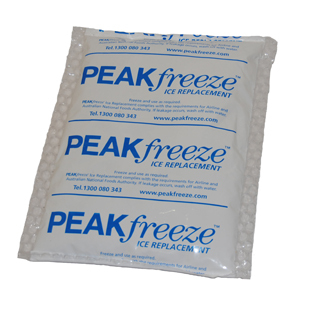 Peakfreeze gel is food safe and non toxic and comes with a layer of insulating bubble to protect your goods from freezer burn. The Gel packs are also ideal for the family esky as they are non toxic, completely food safe and provide a reusable, less messy option to ice. Got questions or enquiries? Our team would love to hear them! Contact the Peak Packaging head office during business hours or fill in the enquiry form below and one of our representatives will be in touch shortly. 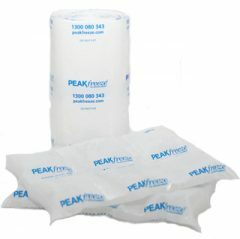 You can contact us on 1300 080 343 or by email at info@peakpackaging.com.au. Subscribe today for the latest news,discounts and promotions. All information on this website is correct to the best of our knowledge at the time of publication. The accuracy of such information may, however, vary over time and potential users are advised to make independent enquiries before making use of it. Users relying on the information do so at their own risk in all respects. Copyright Peak Packaging 2019 . All Rights Reserved.